KOMSOMOLSK-ON-AMUR, Russia --- The Russian military has signed the first state procurement contract for 12 fifth-generation fighters, Deputy Defense Minister Alexey Krivoruchko said Saturday. "The first contract for 12 aircraft has been agreed on, and the deliveries under this contract will begin shortly," he told reporters at a briefing in Komsomolsk-on-Amur. 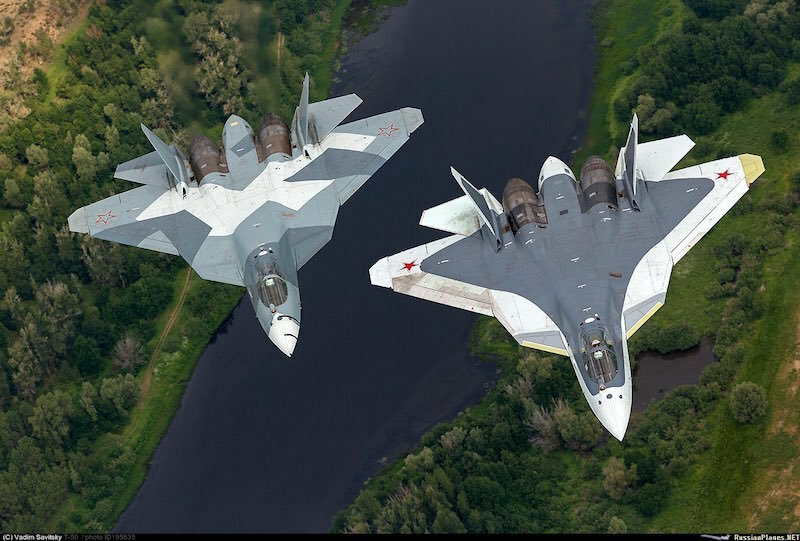 The southeastern Russian city is home to a plant of Russia's Sukhoi aircraft maker, which produces cutting-edge Su-57 stealth fighters. The Su-57 made its maiden flight eight years ago. CEO of Russia's United Aircraft Corporation Yuri Slyusar said the first batch of Su-57s could come into service in 2019.